Beijing: China must teach India "a bitter lesson" if it "incites" military conflict over the dispute in Donglong region in Sikkim sector, an influential Chinese daily said on Wednesday, adding that the Chinese "look down" on the Indian military, and India will "suffer greater losses than in 1962" in case of a conflict. In an acerbic editorial, the state-run Global Times on Wednesday did not mince words to criticise India, amid rising bilateral tensions over a military stand-off in Doklam region. Chinese experts and media have not shied away from talking about the prospect of a military conflict. The editorial, in the Communist Party-run newspaper, called on the Chinese to be united on the issue and asked "professionals" to fight against India. It said the Indian military will be "kicked out" of Doklam unless it withdraws on its own. "The Chinese public is infuriated by India's provocation. We believe the Chinese People's Liberation Army is powerful enough to expel Indian troops out of Chinese territory." "We call on Chinese society to maintain high-level unity on the issue. The more unified the Chinese people are, the more sufficient conditions the professionals will have to fight against India and safeguard our interests. This time, we must teach New Delhi a bitter lesson," the editorial said. "We have to tell India that the Chinese look down on their military power. (India's Defence Minister) (Arun) Jaitley is right that the India of 2017 is different from that of 1962 - India will suffer greater losses than in 1962 if it incites military conflicts." "We firmly believe that the face-off in the Donglong area will end up with the Indian troops in retreat. The Indian military can choose to return to its territory with dignity or be kicked out of the area by Chinese soldiers." China and Indian are locked in a dispute in Sikkim sector's Doklam area, also referred to as Donglong by Beijing, China is accused of building a road in the area which is claimed by Bhutan. China calls the region as its territory. India has objected to road building, citing the pending ownership of the region. "The Indian side has changed arguments several times, first claiming that 'China intruded into Indian territory', but later saying 'there was no incursion into our territory' followed by the new excuse that India is helping Bhutan safeguard its territory. India is acting shamelessly before the international community," it said. "New Delhi's real purpose is to turn the Donglong area of China into a disputed region and block China's road construction there." "The Cold War-obsessed India is suspicious that China is building the road to cut off the Siliguri Corridor, an area held by Indians as strategically important for India to control its turbulent northeast area." "India is taking the risk to betray the historical agreement and wants to force China to swallow the result. " "India should look in the mirror," it said. The strong editorial comes days after China released a Â‘map' to back its claim that Indian troops entered its "territory" -- Donglong region -- to prevent the People's Liberation Army (PLA) troops from building a road in the area. According to the Chinese Foreign Ministry, Indian troops crossed the border on June 18. Donglong is at a tri-junction border of Bhutan, China, and India, where People's Liberation Army troops and the Indian Army faced off. India has said Beijing's action to Â‘unilaterally determine tri-junction points' is in violation of a 2012 India-China agreement. According to the agreement, the boundary will be decided by consulting all the concerned parties.Beijing has asked New Delhi to withdraw troops, reiterating it as a precondition to settle an ongoing stand-off in India's Sikkim sector, where the two countries share a little over 200 km of border. Following the face-off, China last week suspended the pilgrimage to Kailash Mansarovar in Tibet where Indians travel via Nathu La Pass, which is shut now. 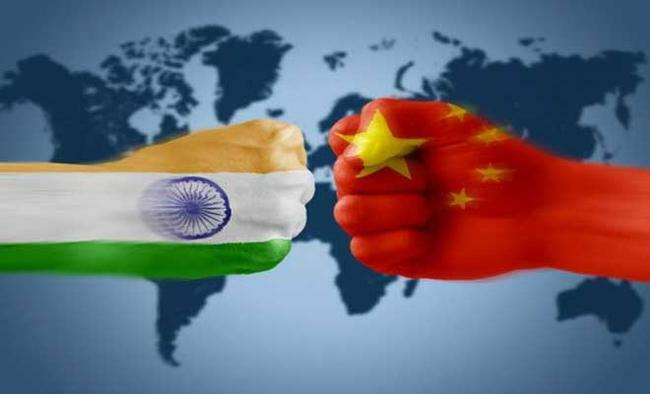 In response, India on Friday said it has told China that the building of a road by Chinese troops in the Donglong region will have "serious security implications for India" and urged Beijing "not to change the status quo unilaterally".